One day, when you’re older, you might think it’d be nice to retire to a small, sleepy town, and live out the remainder of your life happy, surrounded by the rustling of trees and the rushing of water. Or, evil things will happen and you’ll wind up going crazy and then committing suicide, which is apparently what’s happened to the majority of the residents in Indigo Lake [$1.99], a superb first-person survival horror game by ThreeCubes. It starts off simply enough, you sitting on a boat in the middle of a lake. Upon picking up your first item, which serves as an introduction to why you’re here and some slight back story, the boat pulls alongside a dock, and your adventure begins. One of the first things you’ll notice, despite the small size of the download, are the graphics. They are terrific, and really draws you into the creepy atmosphere surrounding everything. Leaves fall downward, trees rustle, buildings and environments are very well detailed. 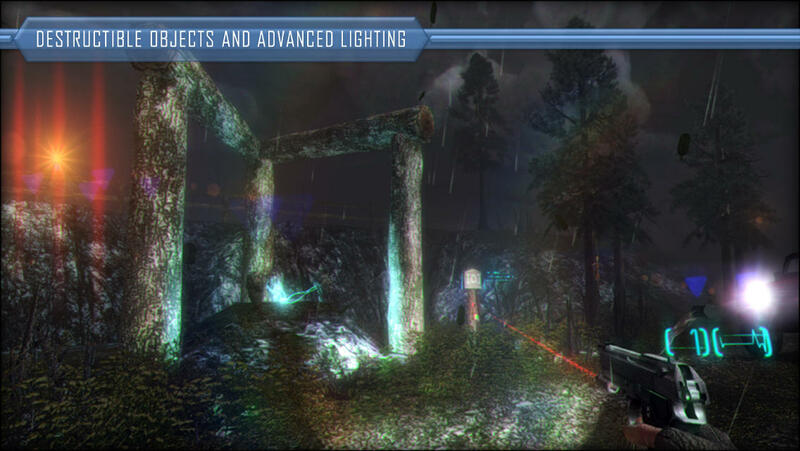 Lighting effects are great, which you’ll get to enjoy throughout the course of the game, thanks to your ever trusty flashlight. Sound design is just as detailed as the graphics, helping to draw you in further. From ambient noises to shuffling noises, to the spectral noises to the odd cry of a baby that seems to pursue you now and then, you’ll really feel like you’re here in this town, wondering what has happened. There is limited voice acting throughout, which is a good thing; it sounds kind of forced and isn’t all that good. Within the first minute of docking, you’ll come across a jeep, which is yours for the taking, and you’ll soon find out why Indigo Lake is very open-ended and free roaming. You can drive pretty much everywhere, and while the game world does have boundaries, they’re not obvious, and fit in well. For example, instead of coming to an open field and just not being able to traverse further, you’ll come to a mountain range that extends over the lake; clearly, you can’t cross this. As you wander around, you’ll come across various story notes which help to explain things, as well as some scary set pieces. I can’t give examples without spoiling parts of the game, but rest assured there are some scary scenes throughout. The game definitely lives up to its psychological horror description. There are puzzles to solve during your exploration as well. Some of them are challenging, but none of them require you to search for a walkthrough or guide. You have an objectives screen, but it isn't very detailed, which is a good and bad thing; good because it leaves it up to you to figure out where to go and what to do, but bad because the next subsequent action isn't always obvious. Some of the puzzles require some backtracking, which again might not always be what your first instinct might be. Indigo Lake uses a basic first-person control system, where the left side of the screen controls movement, and right side controls direction. Tapping the center of the screen interacts with the world, while tapping elsewhere will fire your tracer gun. I found that hit detection was off somewhat, both with shooting enemies and using objects. For example, tapping directly in the brackets of a key wouldn't always register me picking it up. You also need to manually save your game, as there are no checkpoints. The game initially starts off with a fetch quest, but about thirty minutes into it, things change, and it really comes into its own. 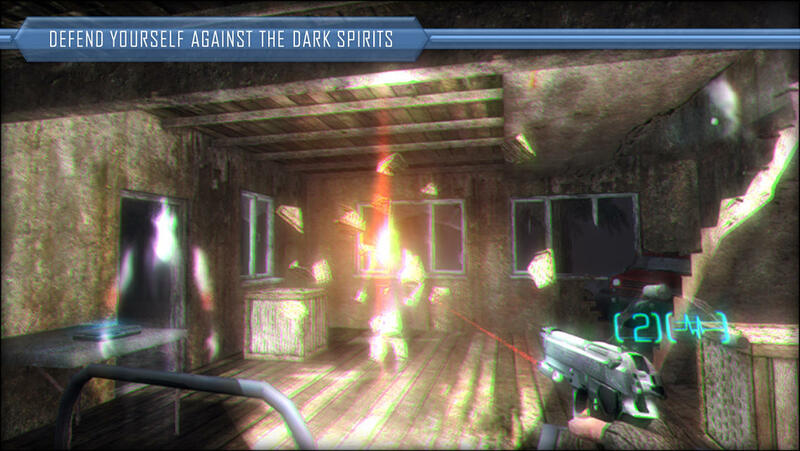 You’ll be fighting creepy figures, seeing things, and generally having your sanity slowly stripped away. For me, the creepy game world and story elements were much more fun than the combat. To access the in-game menu, you tilt your device to the right. To access your objectives, you tilt to the left. This gestured way of accessing menus is either a love it or hate it kind of system. It may be annoying to tilt your device as opposed to tapping an icon, but by keeping the HUD fairly clean, it more immerses you into the world. Through the menu screen, you can enable recording of your game, which is pretty cool. Perhaps you came across a unique moment you want to share, or you’re doing a walkthrough, whatever the case. You can also enable picture-in-picture, which uses your front camera, and shows your face in a little box as you play the game. Clearly there are some good opportunities for reaction videos here, and is a nice bonus. Throughout my time with the game, I really only encountered one bug, which was with saving the game. However, the developer is very active on the forums and is quick to reply to people, and they've already given a solution to the save issue, which is detailed at the bottom of the description in the App Store. Aside from that, on my iPad 4, whenever I would leave the game via the home button, going back into the game resulted in a loss of sound. I had to force quit the game to have sound return. Hardly a big issue, though. I finished the game in just over seven hours, and that didn't include exploring every nook and cranny, finding all the little items (such as the dolls strung around everywhere), and there is definitely more fun to be had just in finding and seeing everything. 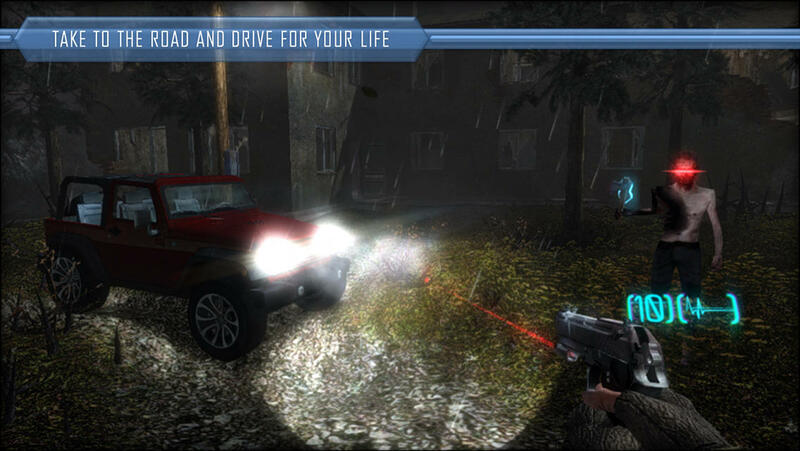 With a price that is very generous, and no IAP, Indigo Lake will leave you wanting more. It’s almost Halloween anyway, it’s time to scare yourself silly.